If you’re planning on tying the knot, you are hopefully already equipped with a support network of friends, family and amazing bridesmaids to help you eliminate some of the stress related to your big day. 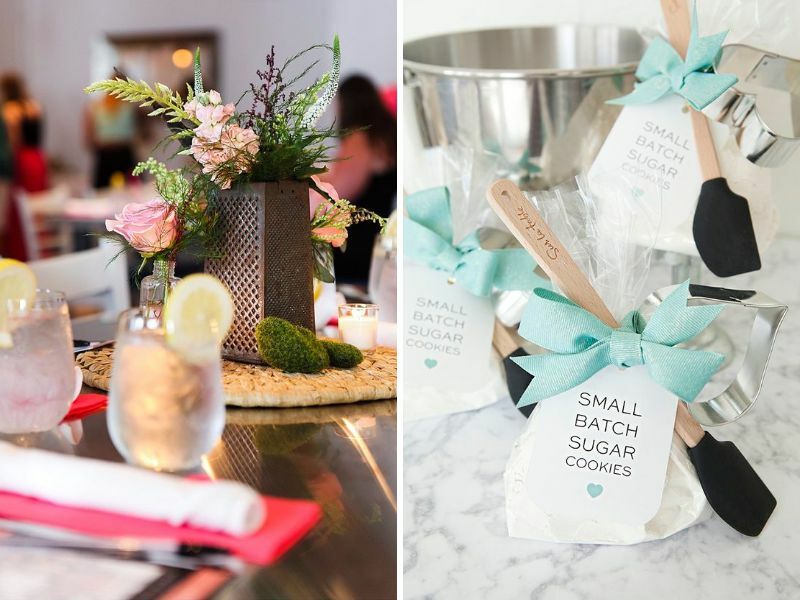 These are your go-to gals for all things wedding-related, and one of their most important jobs is to throw you a bridal shower to remember. Planning an event can be overwhelming, especially if your girls have never had to throw a shower before and might not know where to begin. 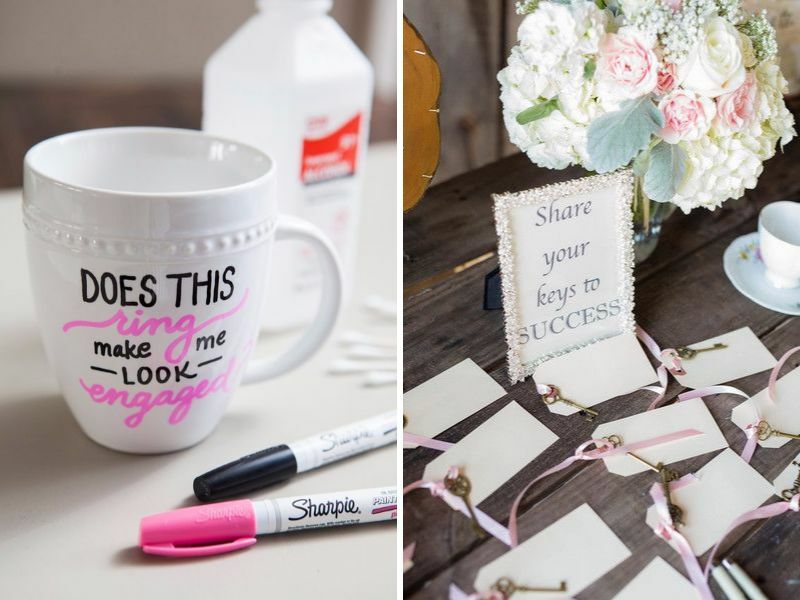 Don’t stress – we’ve put together a list of some fun and unique bridal shower ideas to help inspire a day that is laced with tradition, but still uniquely yours. Read on for more tips! 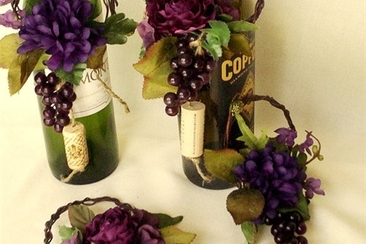 The invitation is the first insight into what type of party the guest will attend. 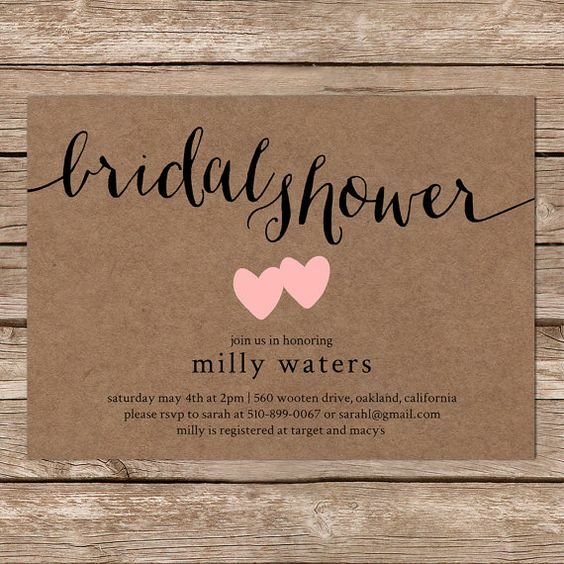 Keep it casual with simple invites or make it glamorous with glitter. 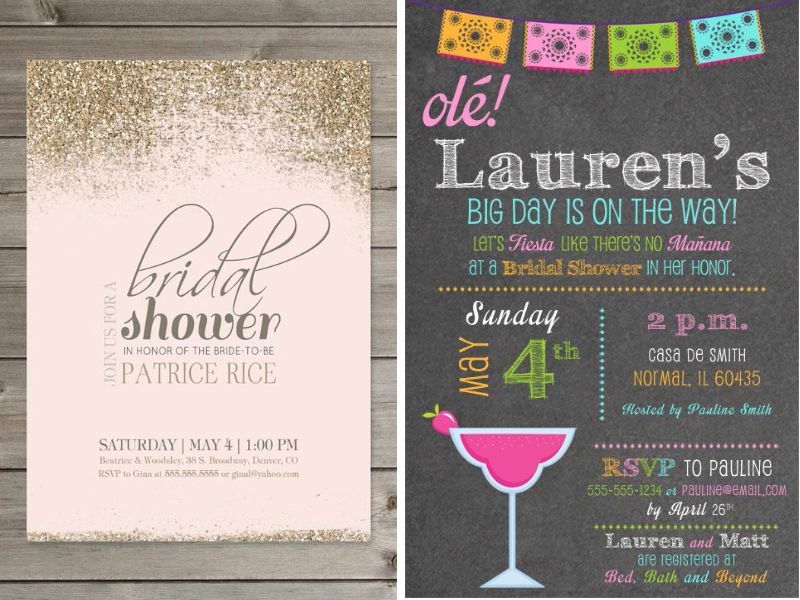 You can be traditional with more formal invites, or go cute and quirky. They’re also a great way to introduce a theme. Why not start with a theme? 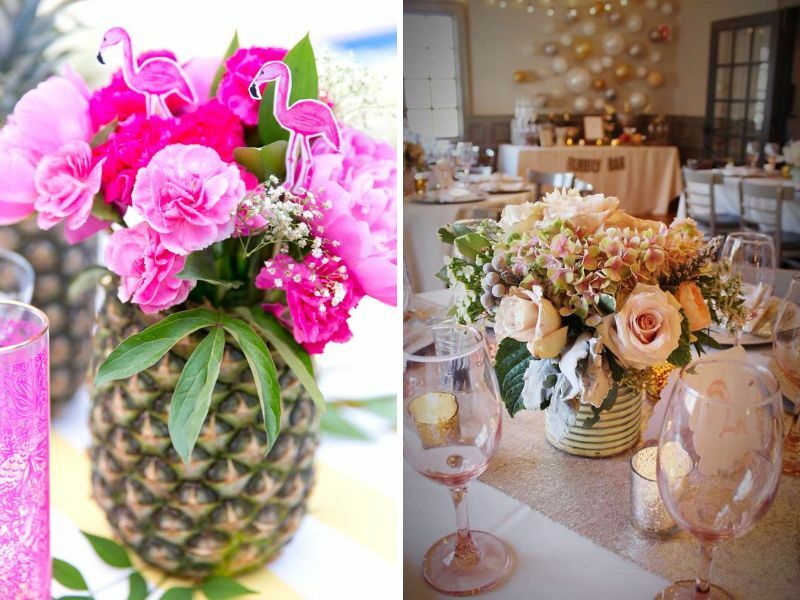 From Hawaiian Luau to Shabby Chic to Charming Country, there are so many themes to suit every bride. 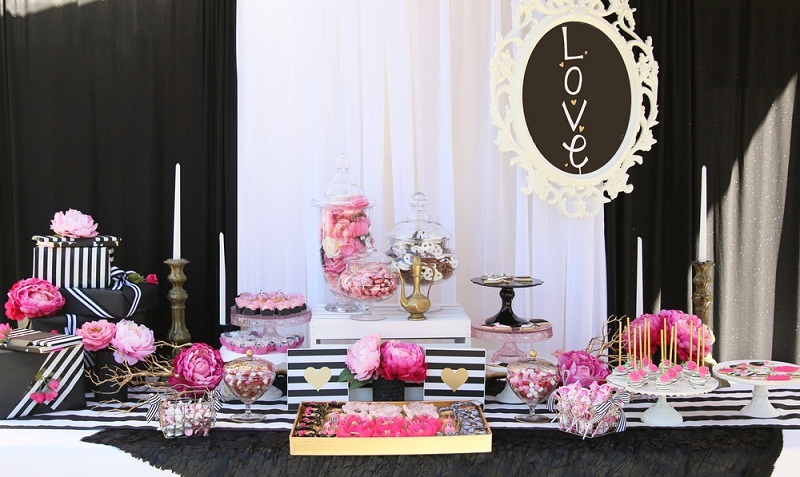 After setting the theme, you can begin to find inspiration for invitations, food and decorations. 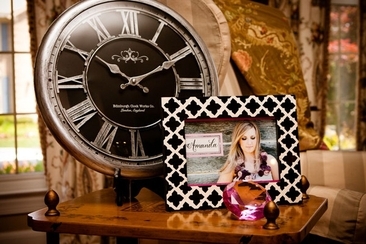 It can be a fun way to incorporate some of the bride’s favorite things. None of your hobbies or favorite things spark an idea? 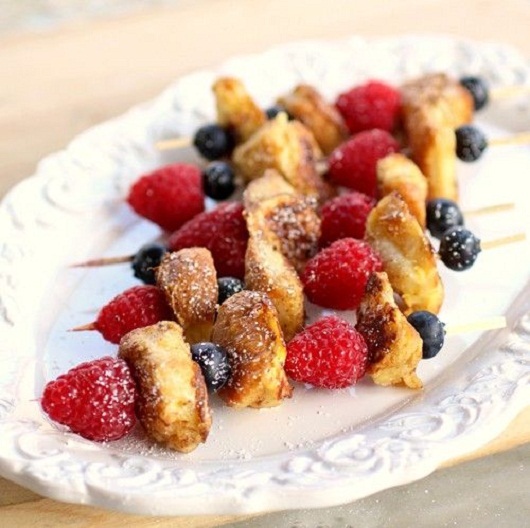 A shower in the late morning can be a classy brunch with French toast kabobs, or an afternoon BBQ can set the stage for a picnic-style event. This also helps to plan a menu! Simple black and white with a splash of a brighter color like pink, red, teal or yellow can be a low-key way of using themes when planning. Have fun with some nostalgia. 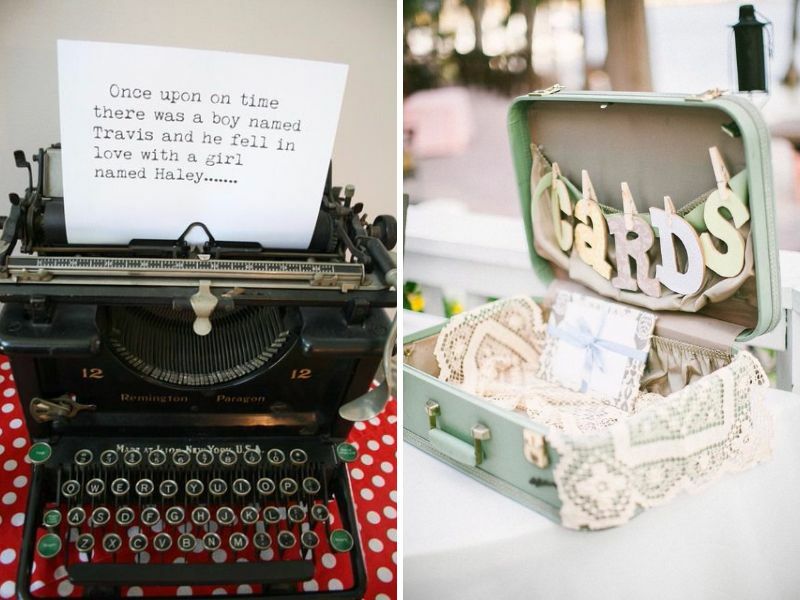 Classic pieces like old typewriters, suitcases, telephones and other vintage items are great as fun bridal shower ideas. With bright colors being extremely popular, more neutral earth tones can be a nice change in the fall and winter months. 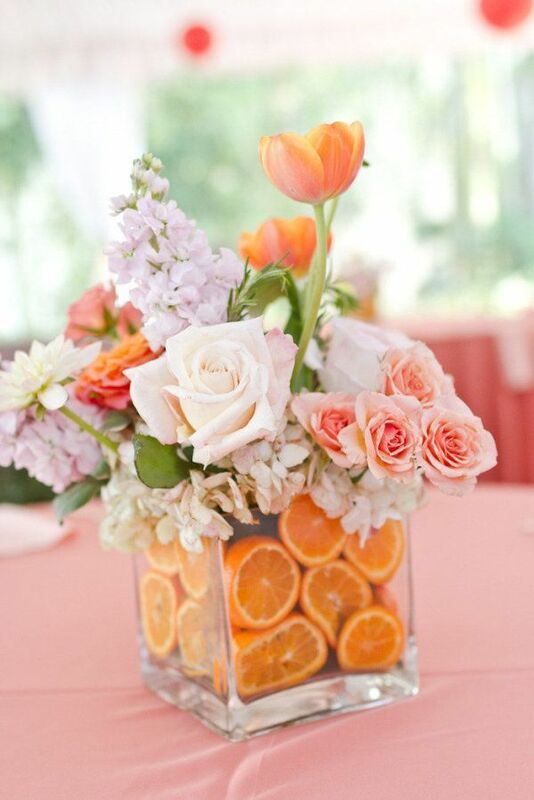 Try bringing in splashes of oranges and yellows in the fall, or green and red in the winter for elegant decor. 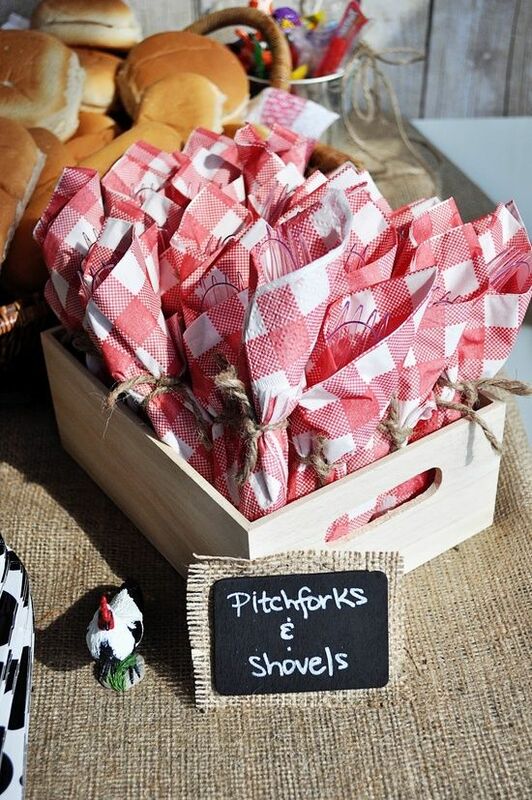 Channel your southern belle for an afternoon soiree. 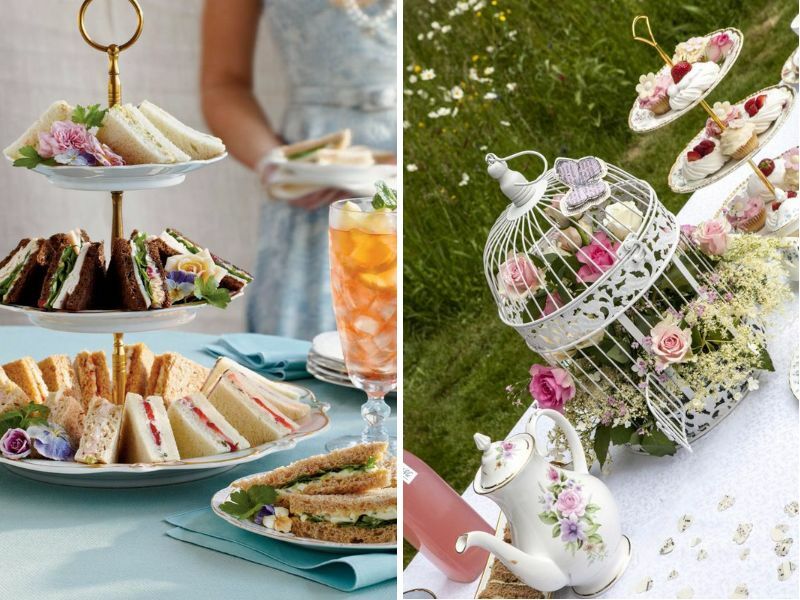 A tea-party is a great way of incorporating a theme into a more traditional event. 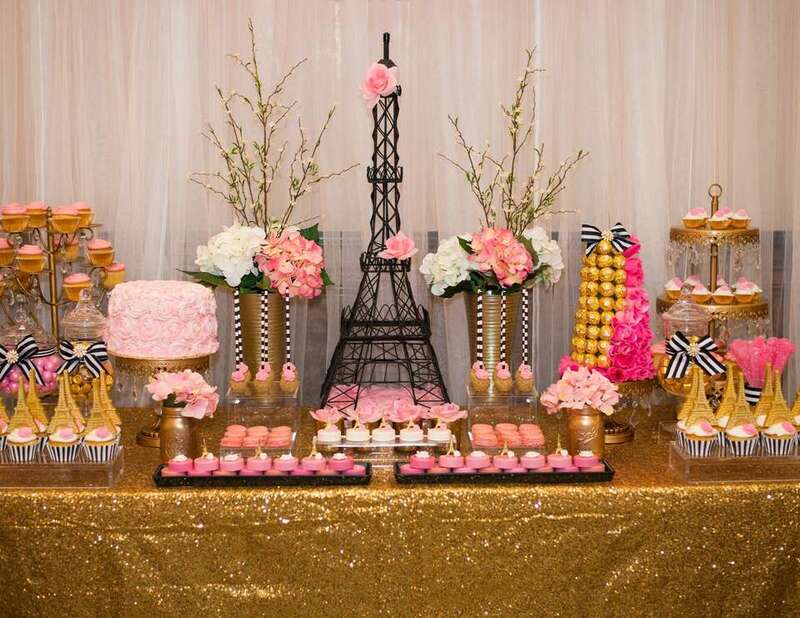 Decorations can be feminine and sophisticated, and it can be either indoor or outdoor with finger foods and appetizers. 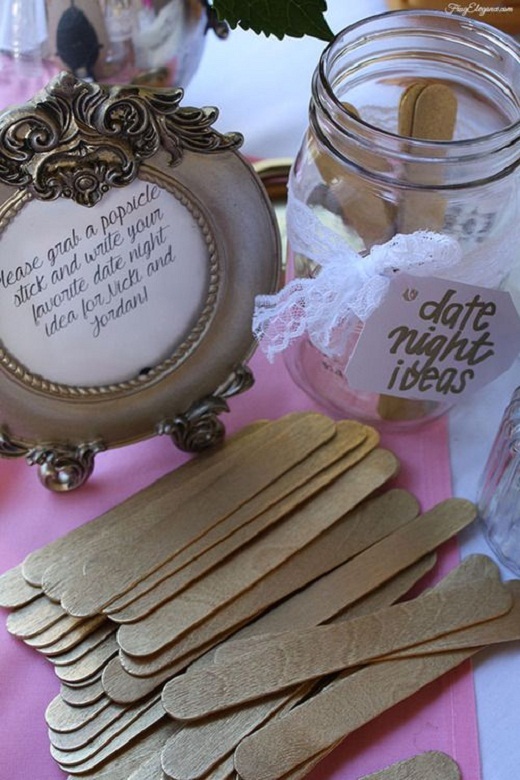 If the bride and groom are film buffs, what about a movie theme for some fun bridal shower ideas? 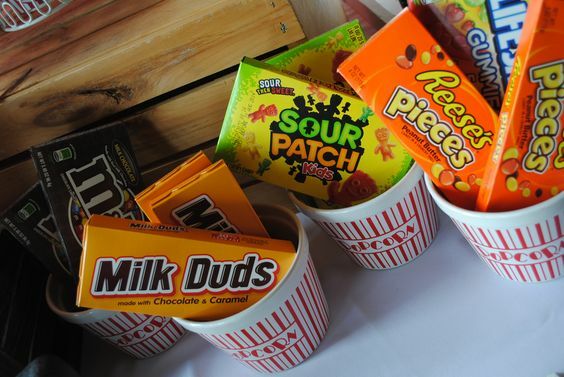 Theater style boxes of candy and tubs of popcorn can pull double duty as both decorations and favors. 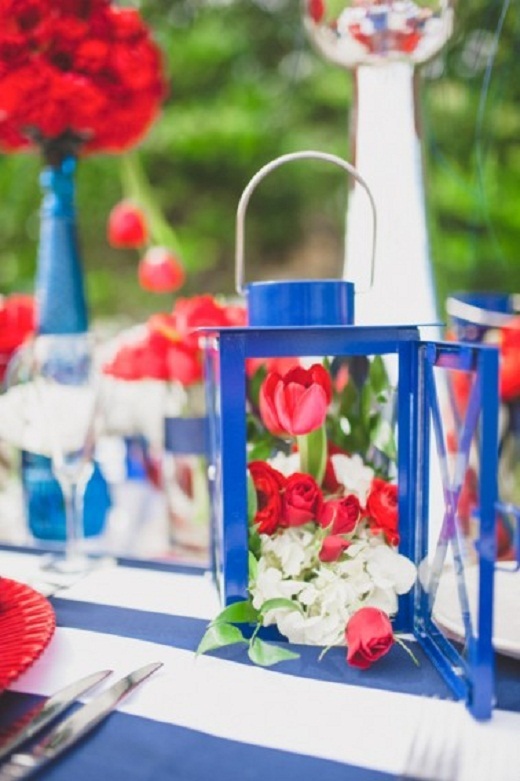 A red, white and blue theme never goes out of style! Regardless of the season or time of year, using a patriotic theme is a great theme for military families. Love being in the kitchen? Ask guests to bring along a copy of their favorite recipe to help the couple get cooking. 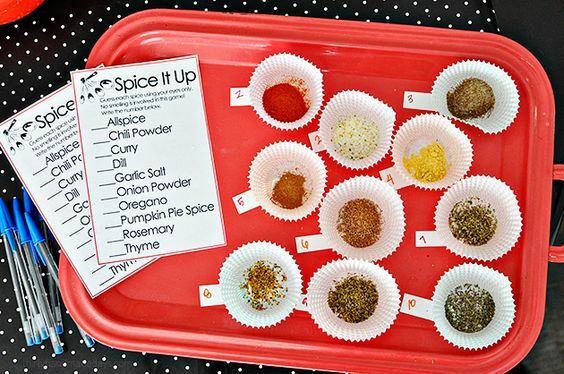 Make centerpieces with cheese grater or colander vases, use cookie cutters and spatulas wrapped with ribbon for favors, and have the guests identify different spices for a fun game! A garden party doesn’t only have to be outside. 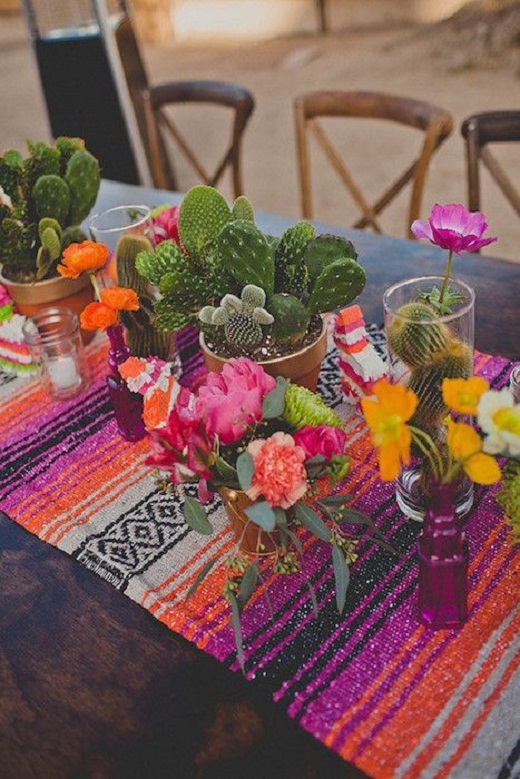 Get creative with terracotta pots in different sizes for decorations and favors. 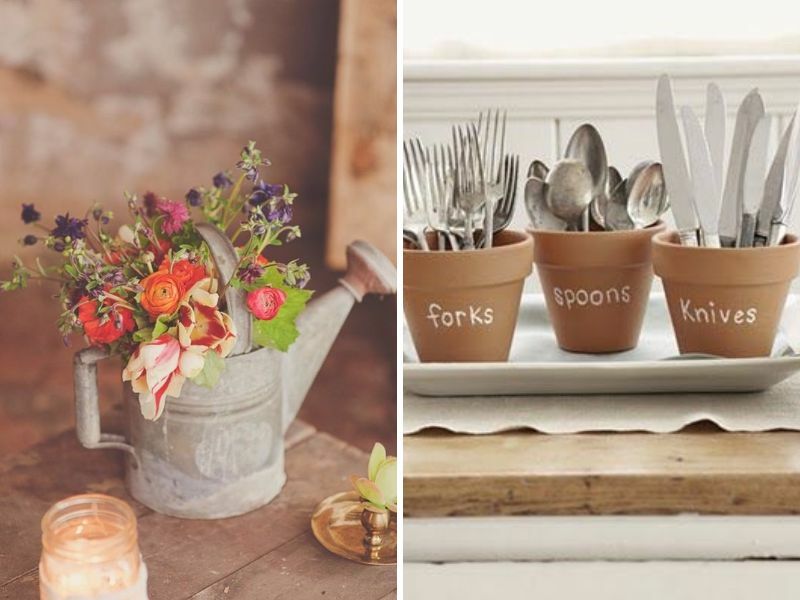 If you’re having guests serve themselves, separate eating utensils into individual pots for an inexpensive and fun way to decorate. What about the honeymoon as inspiration? 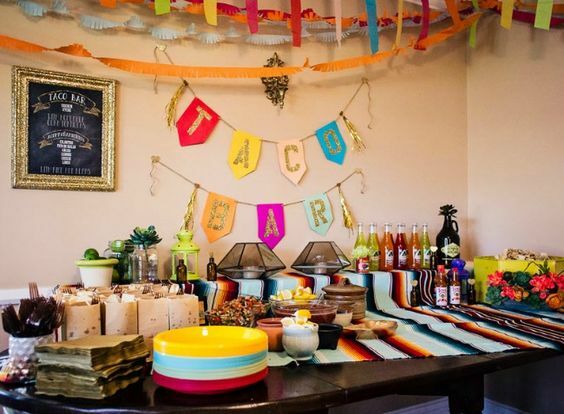 Celebrate with a festive Mexican Fiesta, or a classy Parisian luncheon: base your theme on where the couple is going to relax after their big day! 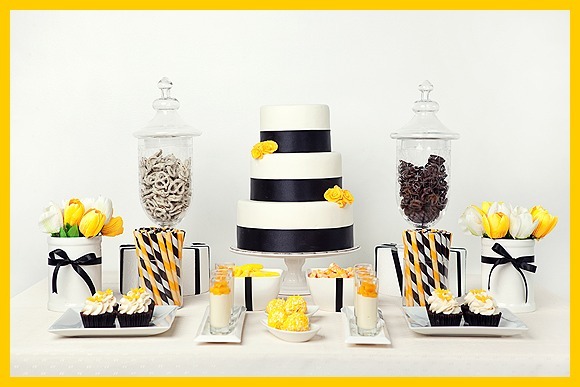 With or without a theme, DIY buffet is on our list of fun bridal shower ideas. 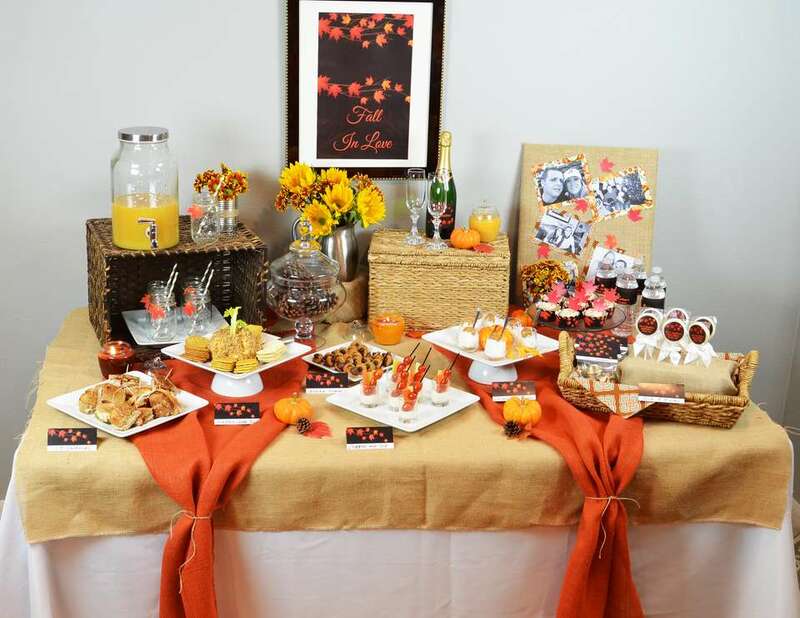 Try setting up a station with various toppings and let your guests decide what they want to eat! 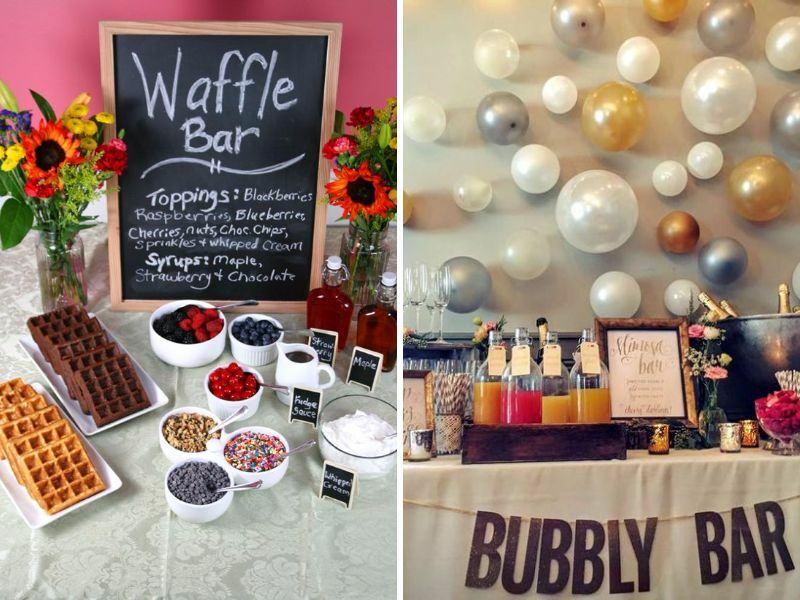 A salad bar, a taco bar, a waffle bar, even an ice cream bar or a mimosa bar – the possibilities are endless! After the food, keep guests entertained with games and activities. 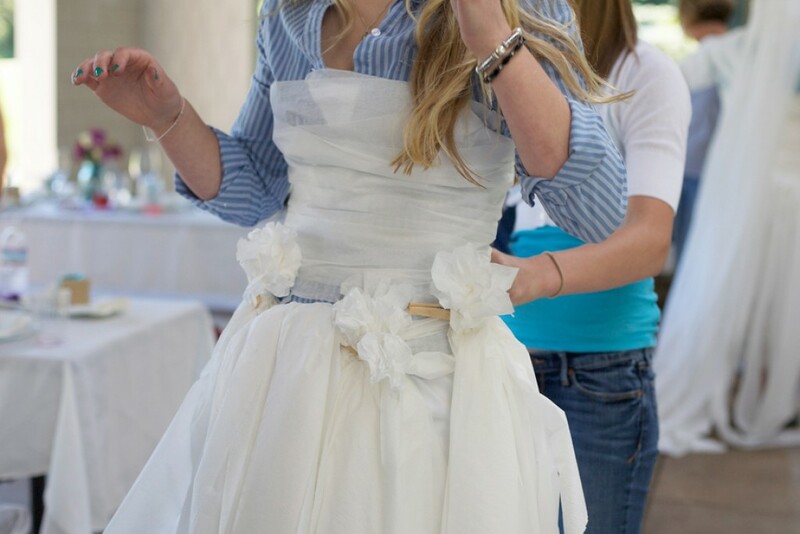 Bridal bingo and toilet paper dresses are classic and always great fun! For a more laid back game, try a “what’s in your…” treasure hunt. 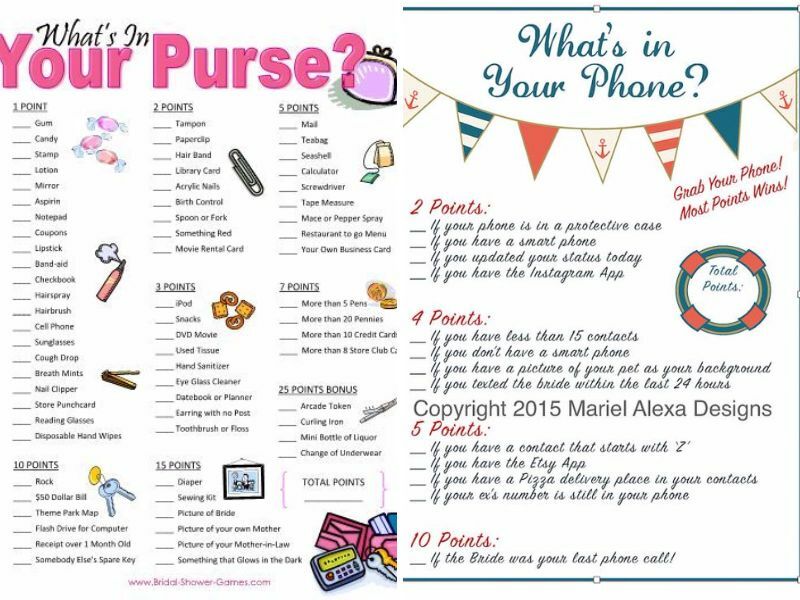 Make a list of things you might find in a person’s cell phone or purse and make each item worth a different number of points. 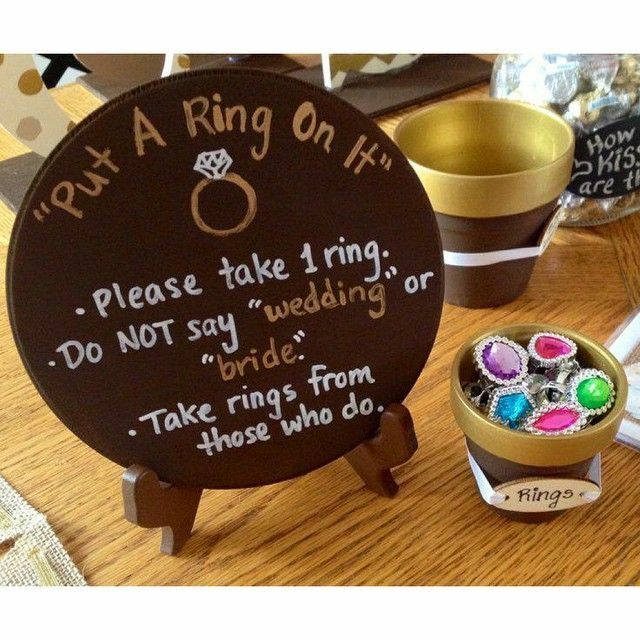 Give each guest a plastic dress-up ring at the start of the party. Instruct them not to say “bride” or “wedding.” If they hear someone else say either of those words, they get to take their ring. 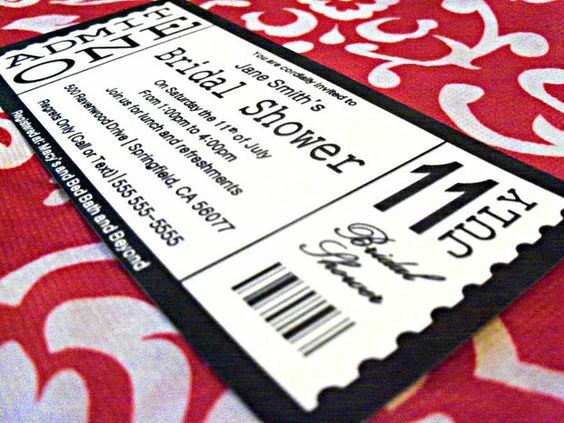 The guest with the most “bling” at the end of the shower wins a prize. Guess who! 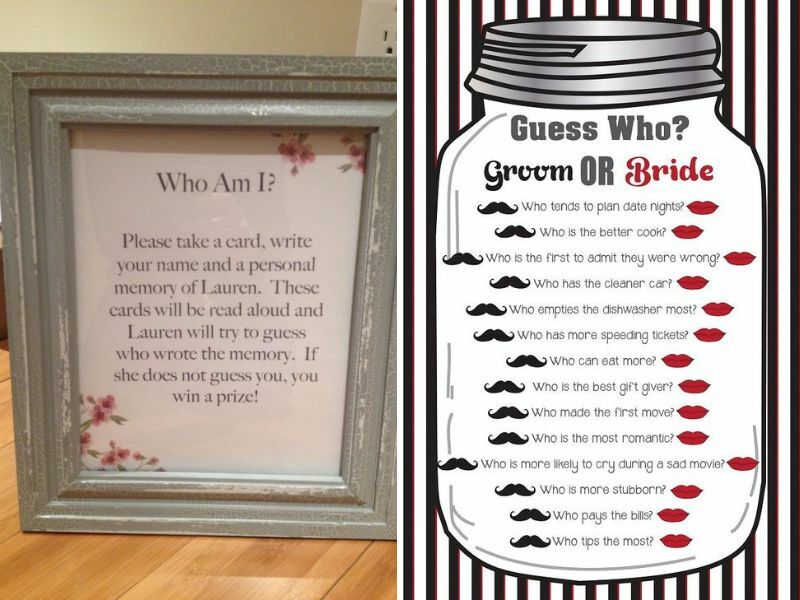 Instruct each guest to write down a memory of you and try to guess who wrote it. Or, put together a list of things about yourself and your fiancé to see who knows you best! Prize goes to the guest with the most correct answers. Not too into games? 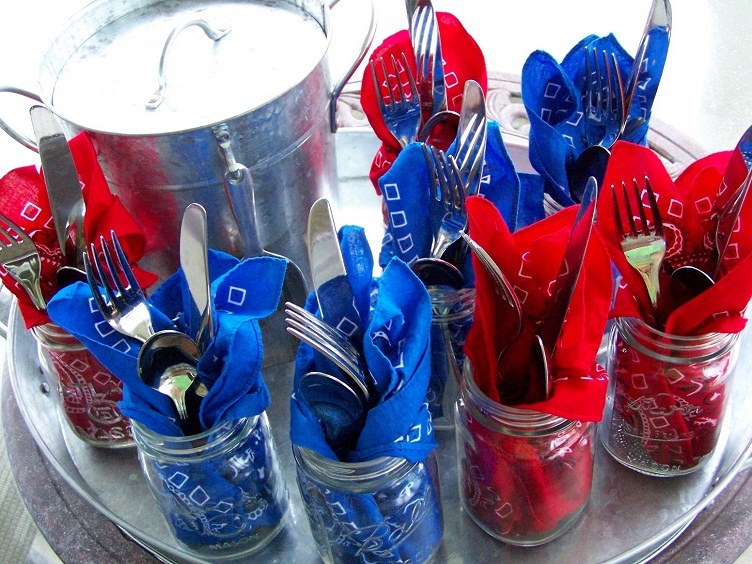 Give each table a plain mug and set out some paint marker for a fun keepsake. 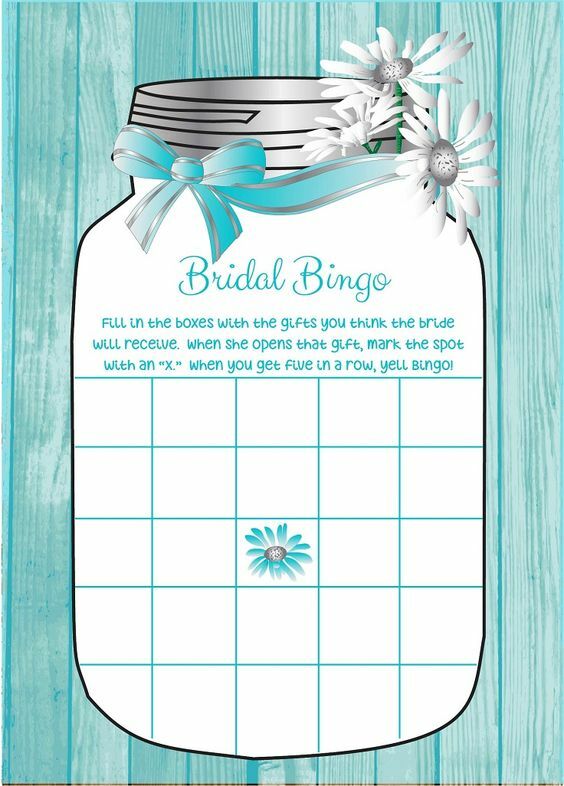 Ask each guest to write an idea for a fun night out that you and your hubby-to-be can choose from when you can’t decide what to do. Or, have them write their best piece of marriage advice. 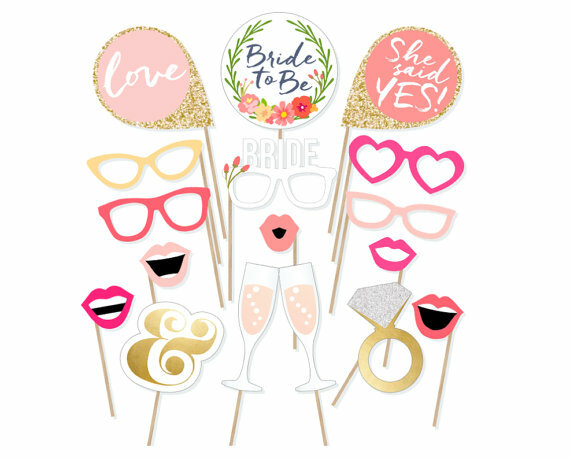 A photo booth is one of fun bridal shower ideas that can also be inexpensive! Print out mustaches, funny hats and silly sayings onto card stock and hot glue some bamboo skewers to them. 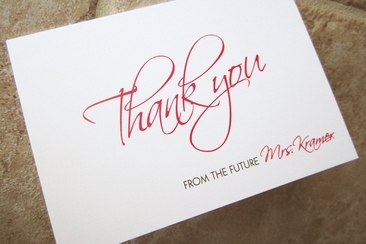 There are tons of free printable things on Pinterest! Don’t forget about your bridesmaids! 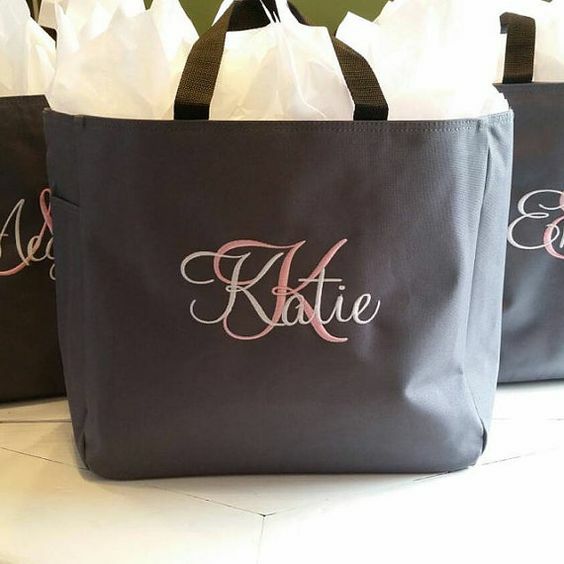 Personalized totes full of jewelry for the wedding, sandals or slippers for the reception and umbrellas in case of rain for outdoor pictures are all practical gifts to thank them for being part of your big day! 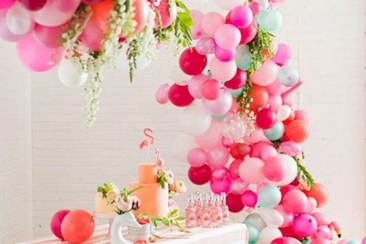 Looking for bridal shower decorations that can make your bride’s personality shine? Browse our top picks and welcome your favorite girl to her new world with a bang! 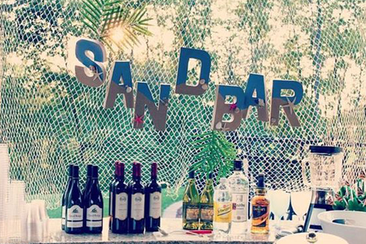 Beach themed bridal shower are one of the favorite themes nowadays. It is fun and easy to do. 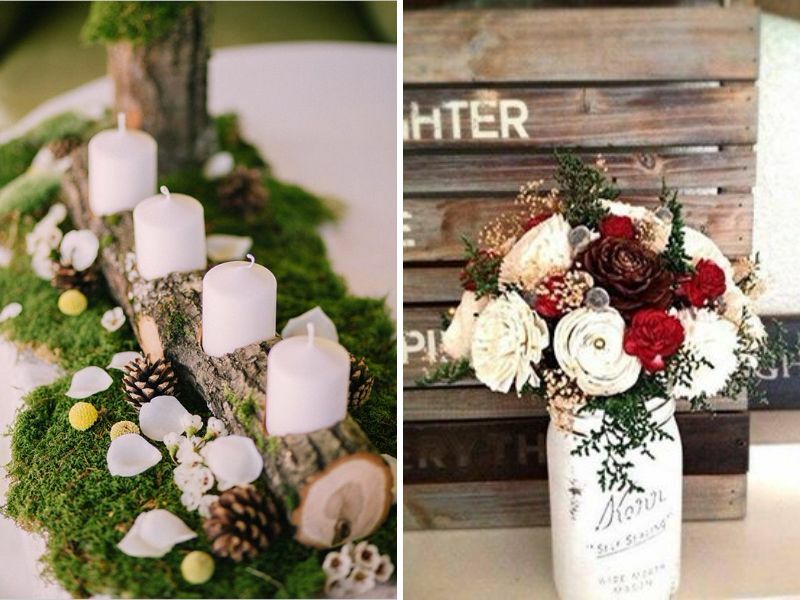 Check out some amazing decoration ideas to make the planning enjoyable. 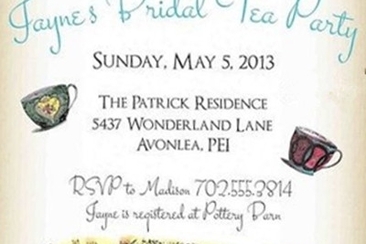 An Alice in Wonderland bridal shower is a whimsical way to celebrate your up coming big day. 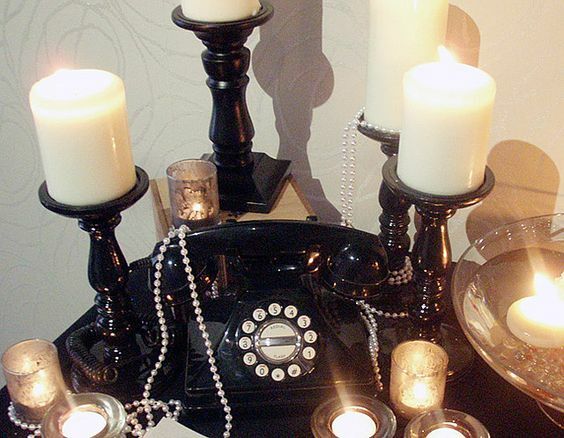 Check out these easy tips to get inspirations of this theme.